"Modernizing Scientific Compute Research Platforms"
Present life sciences research organizations deals with petabytes of data which requires new performance and data management for IT infrastructures and storage solutions. To address the performance and data management issues found in life sciences organizations, a high performance hybrid file system is used which stores data closets to compute resources that can modernize infrastructure and enable discovery. 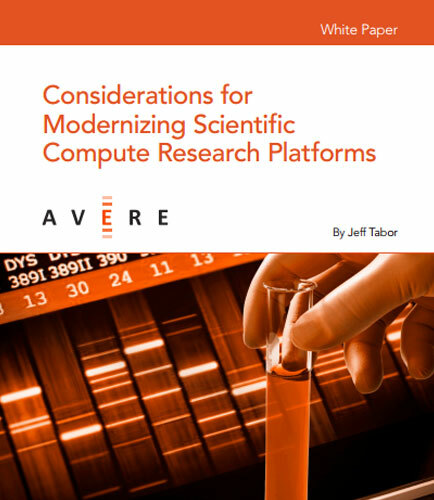 What are the considerations for modernizing scientific compute research platforms? What is the impact of infrastructure issues on research and discovery projects? What changes have greatest impact on infrastructure? What are the characteristics of a modern research environment infrastructure? What is the need for adopting a high performance hybrid file system?